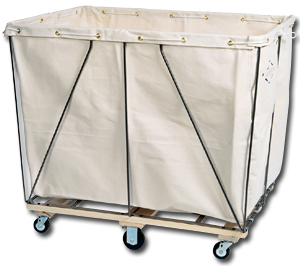 Find all your Commercial laundry carts and accessories at Material Handling Solutions. 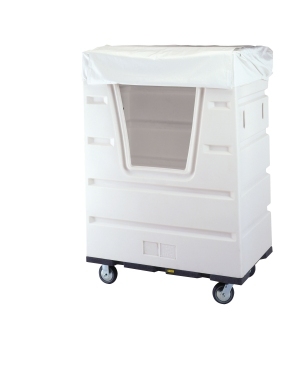 Our RB laundry carts are ideal for use in Hotels, hospitals, healthcare industry, dry cleaners, home and on-premise or coin laundry facilities. 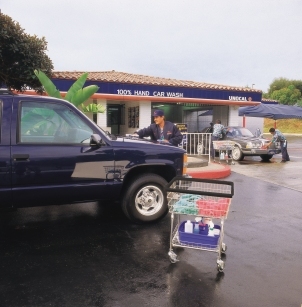 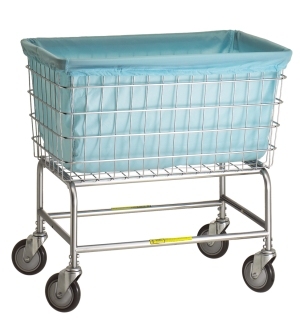 Our strong, durable and dependable commercial and industrial laundry carts are built for years of service and are available in a variety of styles and capacities. 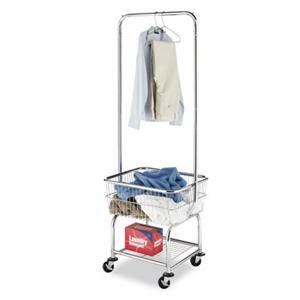 Our RB standard wire laundry cart is used by the majority of Americas coin laundry, commercial laundry facilities. 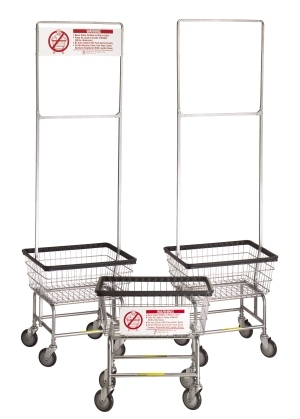 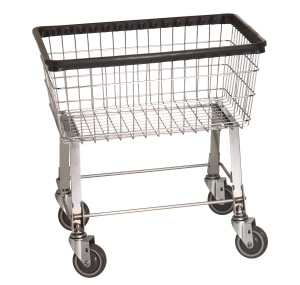 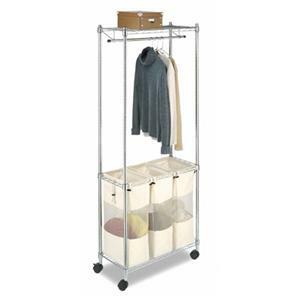 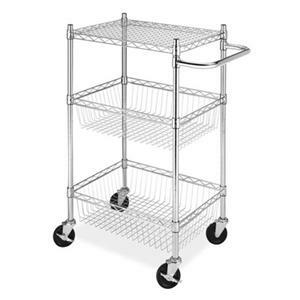 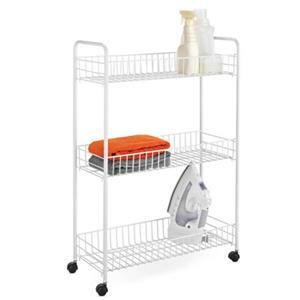 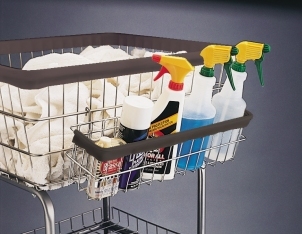 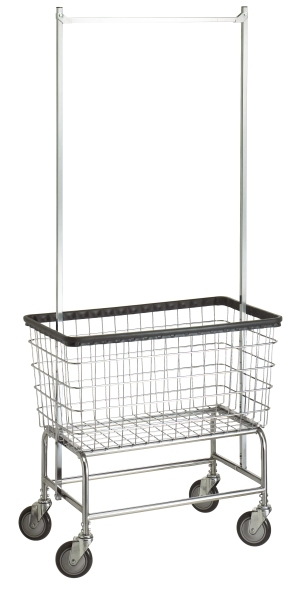 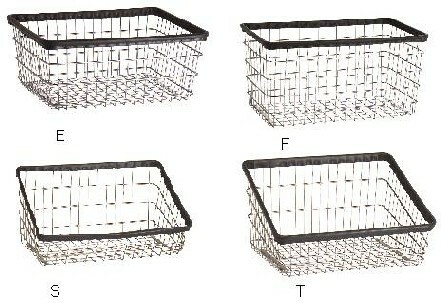 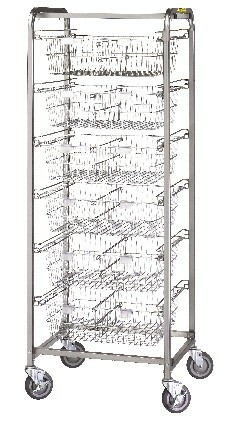 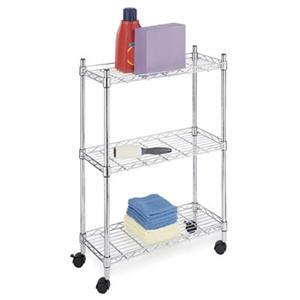 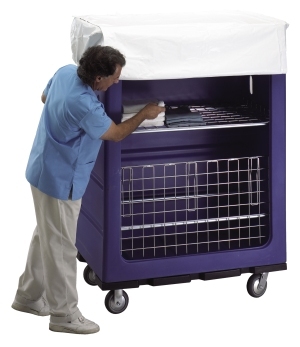 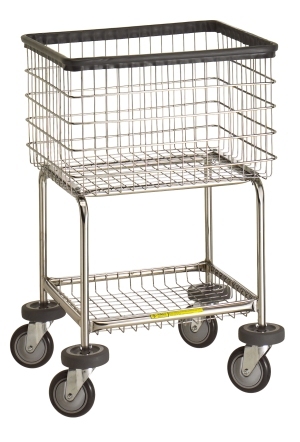 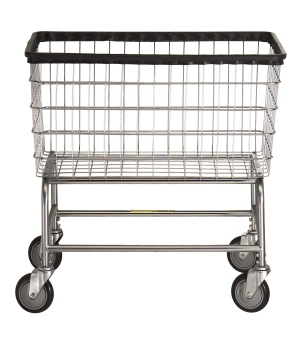 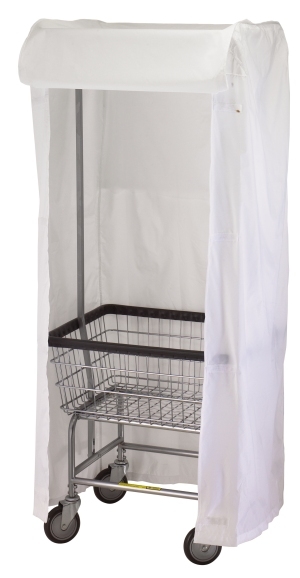 The wire laundry carts feature air-cushion bumpers for maximum protection and a bright and long lasting chrome finish. 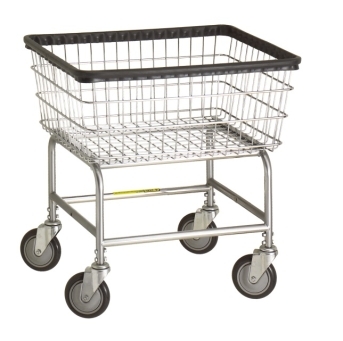 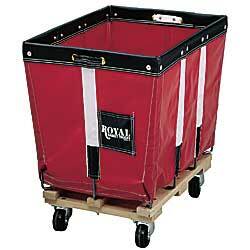 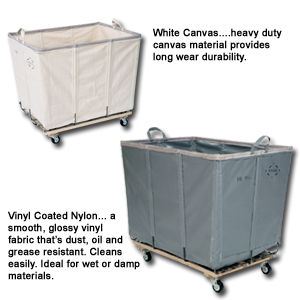 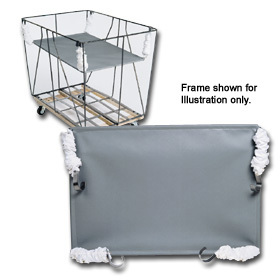 We also offer Canvas Laundry cart & Trucks with various bushel sizes. 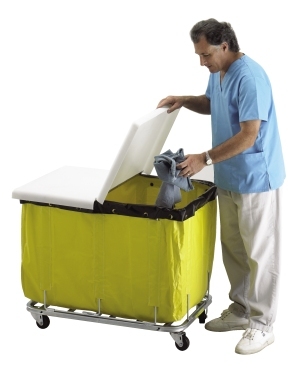 Our Plastic Laundry Carts are built for a lifetime and preferred by hotels. 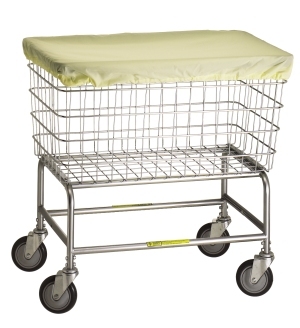 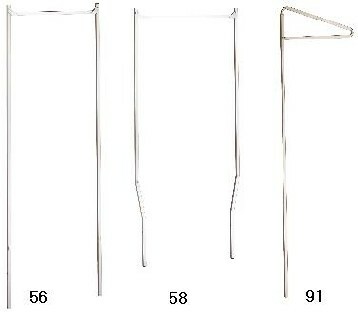 Some of the accessories we carry are: clothing racks, rack extenders, laundry cart replacement baskets, nylon covers and vinyl and nylon basket liners. 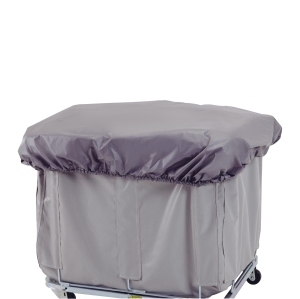 Anti-bacterial and flame retardant fabric laundry basket liners and covers are available and are approved for institutional use. 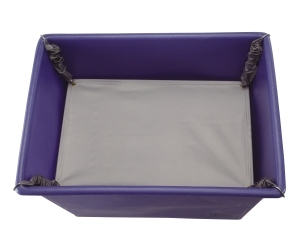 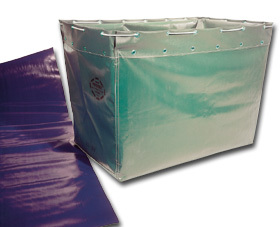 These liners and covers are available in a variety of color choices. 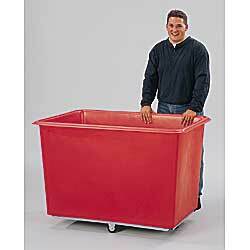 Another option is our wide variety of heavy duty laundry trucks. 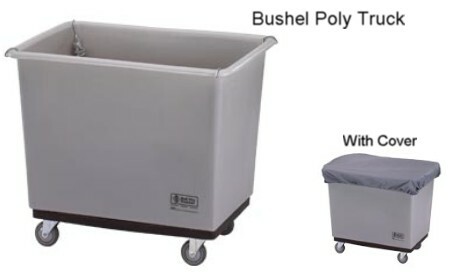 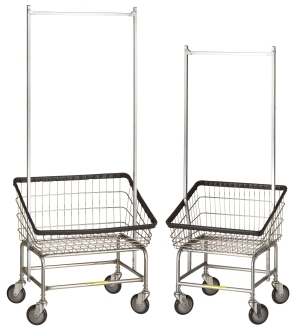 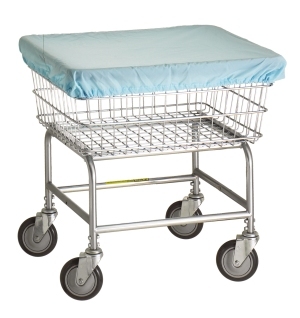 Our laundry trucks & Canvas Carts are perfect for use in the healthcare industry, hotels, hospitals, factories, department stores or warehouses. 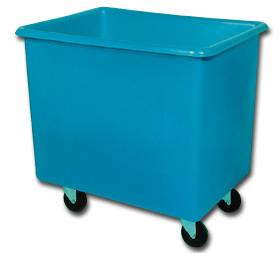 They are ideal for soiled linens, bagged waste, waste paper, parts, supplies etc. 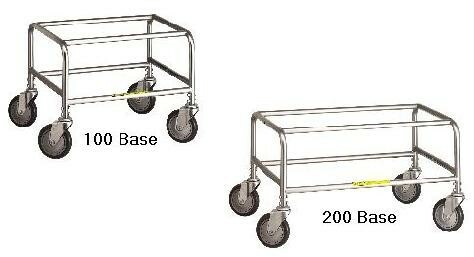 and they carry huge loads with ease.